We got a show day today so posting a bit early. 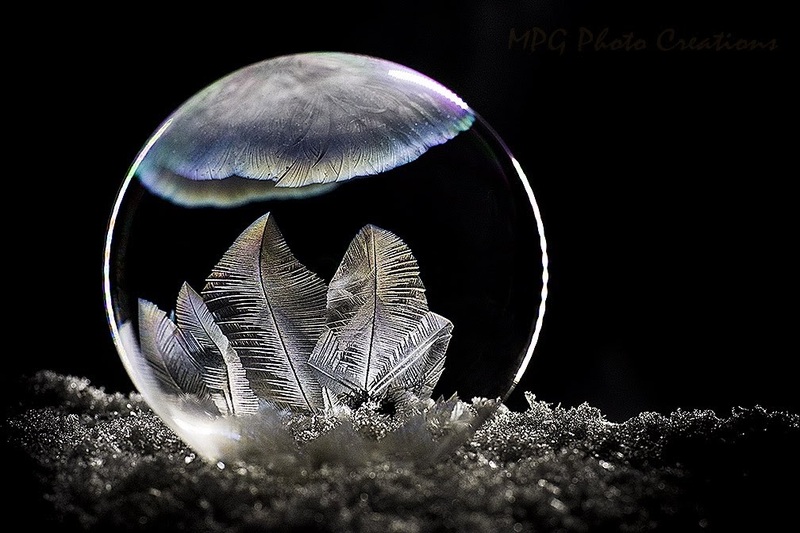 😂 This past Saturday along with the snow I was able to go out and try some frozen bubble images. I used a different lighting set up and I was really pleased with the results that I got. This is one that is fairly early on in it's growth stages but I chose this image because I liked the shapes and after viewing it big I thought the color on the top crystal was interesting too.